I added an image and link over it while editing a product page with flatsome UX builder and that image and link were added to all product pages which is alright but now when I try to change a link on the page that has to use a different link from the rest of product pages as you might have guessed the link changed on all product pages. 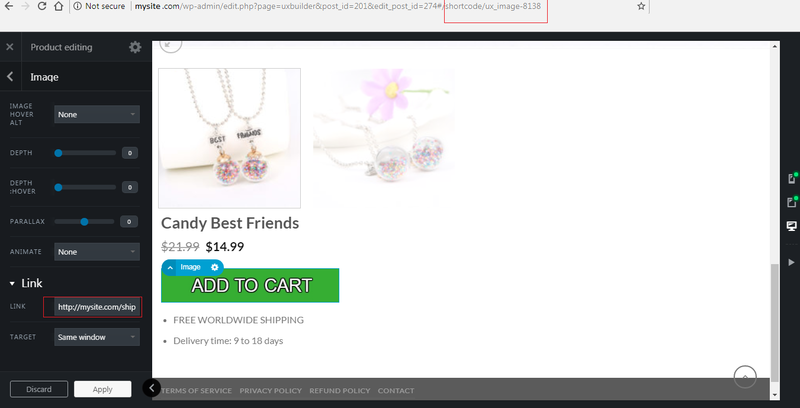 I noticed that each image on product page is unique (different name), so maybe the link could somehow be changed with css for only that image? 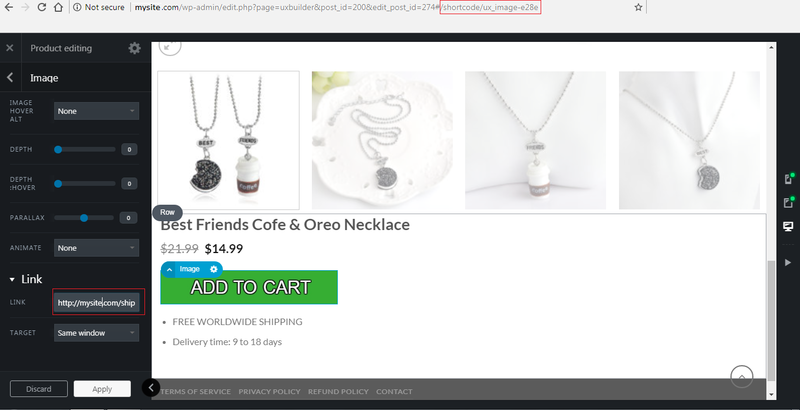 Read more here:: WordPress Flatsome theme: How to change link on image on single (only one) product page?